(OPride) —It has been two years since 17-year-old Ethiopian born Amira Abase shocked the world by leaving behind her life in London and moving to Syria. Amira, a British citizen, ran away from home without informing her parents to link up with Daesh, also known as the Islamic State of Iraq and Syria (ISIS), a murderous outfit that have ran rampant in parts of Syria and Iraq, conquering lands and massacring thousands of civilians. Amira, who absconded with two classmates in February of 2015, reportedly lived in Raqqa for about a year. For a time, she was active on social media, boasting of assimilating well in her new surroundings and even transmitted jihadi propaganda on her platforms. However, in recent months, as coalition fighters took back control of territories once patrolled by Daesh militants, Amira has disappeared from the internet and her current status and whereabouts are unknown. The British parliament recently voted to cancel the passports of over a 100 British citizens who traveled to Syria to join ISIS. The “jihadi bride” may have been part of that group. One of Amira’s two travelling companions, who had grown disillusioned and talked about escaping Syria, died last year. Escape from the ever shrinking ISIS “caliphate” is a crime punishable by death. It is unclear how her friend’s demise affected Amira psychologically. But if she too is seeking to desert the group and return home, she’d have to gamble on her life. Amira would face death at the hands of the terrorists if caught. The uncertainty around her British citizenship further complicating the situation. The announcement in July to void passports of UK jihadis didn’t include a list of individuals targeted by the action, but it is unlikely that the “jihadi brides” were spared. Amira has one other possibility; If she manages to escape from ISIS and cross into neighbouring countries, she could be forced to contemplate obtaining travel documents from the only other country she has links to, her country of birth, Ethiopia. In 2015, when reports of girls as young as fifteen ditching their comfortable life in the West and travelling to Syria first emerged, it left many people perplexed. Why would young women willingly choose a hellish existence in the war torn Middle East? It is not because there was limited information about life in ISIS-controlled territories. There were plenty of reports detailing how women were restricted to a life of confinement at home or given away as a fighter’s concubine. If disillusioned young men were attracted by the macho camaraderie — the prospect of having multiple wives and wielding deadly weapons — what could possibly woo young girls from secular West to this reincarnation of medieval society, where their sole function would be to cook, clean and mate in a life of enslavement and perpetual misery? The indoctrination that led to so many youths making the life altering decision to leave it all behind is still being studied by western security agencies. 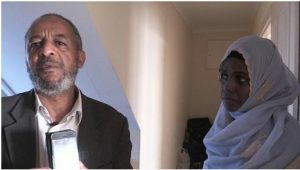 The term “jihadi bride” was popularized by British media in the aftermath of the disappearance of Amira and her two close friends and classmates, Kadiza Sultana, 16, and Shamima Begum, 15. 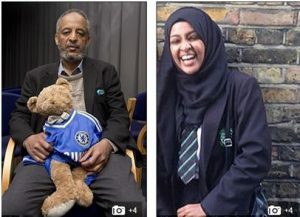 All three were students at London’s Green Spring Academy. By all accounts, they were well adjusted and socially outgoing, never hinting that they would make the drastic decision they made to leave it all behind in February of 2015. The trio are believed to have been groomed online by at least one fellow “jihadi bride,” Scottish citizen Aqsa Mahmood who departed for Daesh controlled territory in 2013. 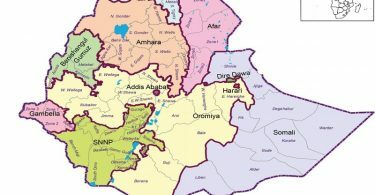 Amira was born in Addis Ababa before leaving for Germany and finally Britain where she grew up with her father Abase Hussen, mother Fetia and a younger sister and brother. She was known for her love of fashion and of London based football club Chelsea FC. A popular student who made friends and posted selfies of herself on her social media networks, her mother told a Vice News documentary team that she had an interview with a college lined up due to her excelling in school. She loved sports and participated in school athletics events. Hardly the description of a radicalized recluse that would aspire to join up with one of the most dangerous terrorist groups in the world today. “They were the girls you wanted to be like,” an unidentified 14-year-old classmate was quoted as saying. With the media circus surrounding the defections showing no sign of letting up, her distraught looking father Abase was forced to repeat on many occasions in those first months, that he had no idea how his daughter could have been radicalized and pushed to travel to Syria. When he first learned of news that Amira was in Turkey, he tried to use the media to call on her not to cross into Syria. “Remember how we love you. Your sister and brother, they cannot stop crying,” he pleaded. “What she’s doing is completely nonsense,” he told reporters. Desperate, he later joined relatives of the other two families and traveled to Turkey to try to trace her steps. His efforts were in vain, his daughter and her friends are believed to have crossed the Turkish-Syrian border before the group’s arrival. 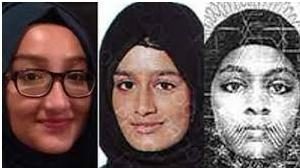 It was later revealed that Amira, Shamima and Kadiza had struck up a friendship with Sharmeena Begum, another student at the same school who went through a similar radicalization process and left for Syria in December of 2014, only a few months before the three others would join her. In the aftermath of Sharmeena’s disappearance, Scotland Yard started investigating but as Sharmeena was a minor, her name was omitted from news reports. There was no immediate national uproar the way there would be when coverage of the three girls’ disappearances became national news. In the midst of the secrecy, police interviewed teachers and friends of Sharmeena. This is when Amira, Shamima and Kadiza would encounter law enforcement officials. The trio were interviewed and asked if they had any prior knowledge of Sharmeena’s impending trip. The three were then handed letters to give to their parents, asking for permission to use their statements if legally necessary. It is understood that the girls never delivered the notices to their parents. The parents remained in the dark about the affair until it was too late. Fetia, Amira’s mother is adamant that had she known that one of her daughter’s closest friends had been successfully radicalized and traveled to Syria, she would have never let her daughter out of her sight, “not even to go to after school clubs!” she told Vice News. Her sentiments are echoed by the other two families, both of which like Amira’s folks, had no idea that a classmate of their daughters’ a close friend of them to boot, had left London to join up with the so-called Islamic State. Three months or so later, the three girls themselves boarded a plane to Istanbul Turkey, landing in the country on the 17th of February. From there, they were led by a contact with whom they boarded a vehicle that would take them to Syrian territory under control of the jihadists. Amira’s father was targeted for some heavy criticism when British tabloid media Daily Mail published a video that appeared to show Abase among members of an angry mob which would burn an American flag. The rally, held in 2012 near the American embassy in London, was organized by known radicals and was attended by Michael Adebowale, one of the two men who would kill British soldier Lee Rigby on the streets of London in 2013. It later emerged that Abase had brought his daughter to another such rally later that year, when she would have been about thirteen. He was accused of having a hand in his own daughter’s radicalization. Abase denied being an extremist and later apologized for attending the rally. “The crowd pushed me. I feel tricked. I don’t know who the organizers were, I just followed the crowd and feel ashamed,” he told The Times. He made it clear he was simply protesting what he believed was the insulting of his religion. 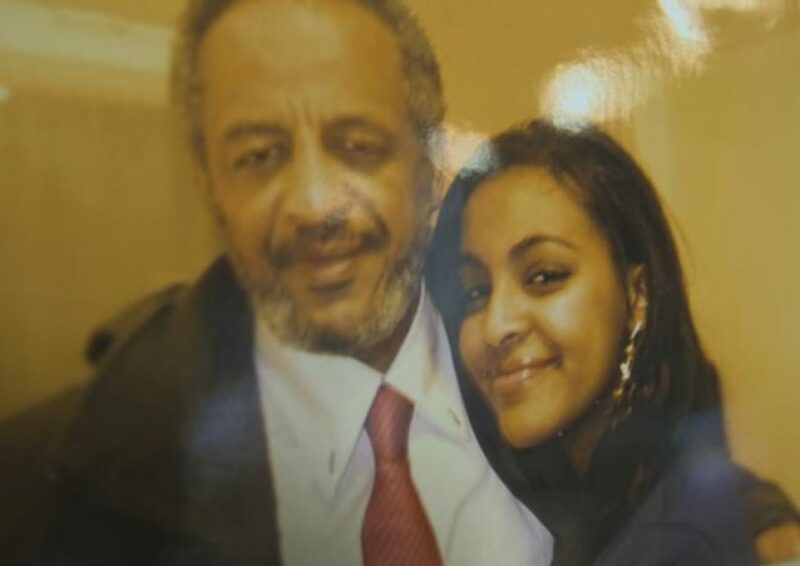 At a hearing, he admitted to taking his daughter to another rally, this one organized by the Ethiopian community in London. It was in November of 2013, to protest abuses and killings of Ethiopian migrants in Saudi Arabia. 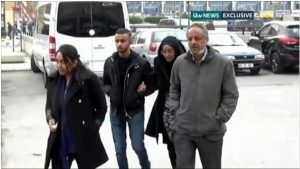 Despite the obvious attempt to assassinate his character, the media scrutiny wouldn’t prevent Abase from obtaining a priceless bit of assurance from authorities: if Amira were to somehow make it out of Islamic State territory and back to British soil, she wouldn’t be charged with terrorism. Her status as a minor and the fact that she isn’t believed to be personally taking part in the war herself are believed to have helped her case. It would later be revealed that Amira had married an Australian jihadist, Abdullah Elmir in July. The eighteen year old Elmir was nicknamed the “ginger jihadist” and was used in propaganda videos by the extremist group. Later, it emerged that Amira’s companions who had accompanied her from Britain had also been married off to foreign jihadists, and the three had moved into the homes of their new husbands, in the terrorist group’s designated capital city of Raqqa. Towards the end of 2015, Amira, who had disappeared from social media after her accounts had been closed, resurfaced as both her and husband Elmir operated a new joint Twitter account, according to the Daily Telegraph. With this account, threats to attack the west and cut the hands from anyone found insulting Islam were issued. The account featured a burka clad woman whom Elmir claimed was his wife Amira, clutching an AK-47 in her lap. In December, The Australian reported that Australian intelligence agencies believed that Elmir had been killed in a coalition bombing. 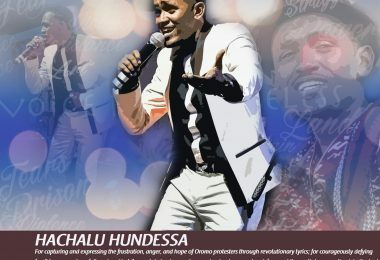 With no more social media activity accredited to the Australian teenager who used to work as a butcher in Sydney, it became increasingly clear that he was dead and that his Ethiopian born wife was now a widow. Exactly how her life would pan out from this point on wasn’t immediately clear. Widows are said to be rounded up and made to live in compounds under close watch of people close to the group until they can be remarried. It is said that Amira, given her status as a foreigner, would be a valued asset and probably transferred to somewhere secure, but there’s nothing confirmed thus far. In May of 2016, one of Amira’s friends, Kadiza Sultana, was killed in a Russian airstrike. She was 17. In an interview with ITV, Sultana’s older sister Halima Khanom said that her sister had regretted her decision to travel to Syria and had thought of escaping for about a year. Her older sister discussed the possibility of her fleeing to territory controlled by the Kurdish PKK militia. “You know the borders are closed right now, so how I’m going to get out? I’m not going through PKK (militant Kurdistan Workers Party) territory to come out, I’m never going to do that ever,” she told her sister. The penalty for trying to escape the clutches of the group is death. Even teenage girls aren’t spared. Samra Kesinovic, a seventeen year old Austrian girl who emigrated to Daesh territory in 2014, was beaten to death with a hammer for trying to escape. She had lived in Syria for about a year. Sultana was clearly intimidated by the prospects of a gruesome end. “I feel scared,” she told her sister. In the aftermath of reports of Sultana’s death becoming public, it was feared that Amira and Shamima had met similar fates. Both of them were no longer active on social media and the city of Raqqa was under siege. Despite their disappearing from public view, the lawyer representing Amira and Shamima’s families told The Independent that as of late 2016, the two were known to be alive. He couldn’t go into detail at the risk of jeopardizing their safety. In July of this year, Islam Mitat, a 23-year-old Moroccan national who was tricked into moving to Syria in 2014 by her husband Ahmed Khalil a British national, revealed details about the lives led by the British girls. Islam herself had been widowed after her jihadi husband was killed in battle. She managed to escape the terror group earlier this year and spoke of living in an area of Raqqa she dubbed “little Britain,” because there were many British citizens living in the immediate vicinity. She described Amira and her friends as being “delighted,” to read about themselves on web. She now lives in a safe house in Northern Syria in territory out of reach of the terrorists. In an interview with The Times, she spoke of how Kadiza Sultana’s death in an airstrike caused panic in the little community. Eventually, Amira and Shamima, the surviving schoolgirl runaways, were taken away from the “little Britain” area by terrorist leaders and relocated “for their own safety.” Mitat doesn’t know where they went or if they are still in Raqqa. But if the two were evacuated from the city away from the battle lines, it could give weight to any claims that they are alive and well. Updates on Amira Abase in 2017 have been few and far between. Her father recently conceded that he had no information on her whereabouts and hadn’t heard from his daughter since 2016. “You need to find out whether she is alive or not,” he said. The families, which used to receive sporadic contact from the girls confirming their well-being, haven’t heard from them since the death of Kadiza Sultana. Last month, the city, once considered an impenetrable ISIS fortress where Amira had lived with her friends, was retaken by the Syrian Democratic Forces as ISIS’ were wiped out of Raqqa after three years of controlling the city. Raqqa, liberated, has been reduced to rubble, and the fighting force of the Islamic State has been decimated. Although the terrorists have been rooted out of the city, more efforts to dismantle booby traps and landmines left all over the battle-scarred city by fleeing militants are required before some areas of the city can be accessed. It isn’t clear if Amira is among those who fled Raqqa before its recapture, or if she remained in town throughout the battle. Amira Abase is both foreign born and of foreign parentage, making her a prime candidate for the legislative action. As the British government hasn’t released a list of the people whose citizenship it recently cancelled, there is every chance that Amira Abase is no longer a British citizen. Her family may have been notified and if they have, they have refrained from notifying media thus far. 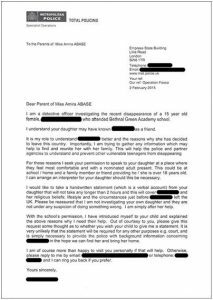 If indeed Amira was among the 150 British terrorist sympathizers in Syria who have had their passports cancelled, she might be in the dire situation of having to contact Ethiopian authorities to get travel documents, if she were somehow given the opportunity to escape. The pain and misery of the families goes on, while the fate of Amira and others like her remains up for speculation. Syrian military and opposition forces who captured Raqqa, are closing in on the remaining strongholds of the ever shrinking “caliphate.” If Amira is alive and in ISIS held territory, she risks being caught up in a territorial takeover. Being captured by government or opposition forces doesn’t ensure a happy ending either. 16 year old Linda Wenzel, a German girl radicalized by members of the same terror group, was captured by Iraqi forces in Mosul this July as they overran the city. Iraqi forces were videotaped dragging her into detention, cheering and mocking her as she screamed in pain after having been shot in the thigh. Wenzel remains detained and is being questioned in Baghdad, where Iraqi authorities say if she is guilty of terrorism charges, she may be executed. It’s evident that Amira remains very much in limbo, even if she somehow manages to escape the clutches of the terrorists, which is something that many Brits have actually managed to do. Some 400 British citizens are believed to have returned from Syria after having served the terrorist organisation in one capacity or another. 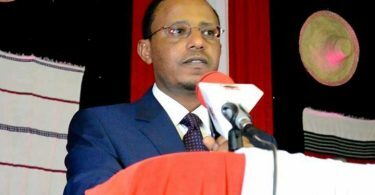 Abase Hussen and his wife Fetia, are understandably crushed. 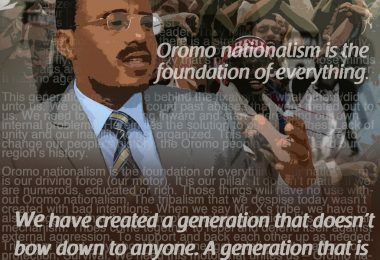 Abase, who left Ethiopia for the “freedom and democracy” of Britain never expected to be experiencing the hell he lives today. “My hope is almost finished…nobody contacts us,” was the last thing Fetia told the Vice documentary crew, wiping tears from her face. “It’s difficult to cope. We really miss Amira. No second passes without us remembering her,” said Abase, following up afterwards. Does Ethiopia really need another mega airport?